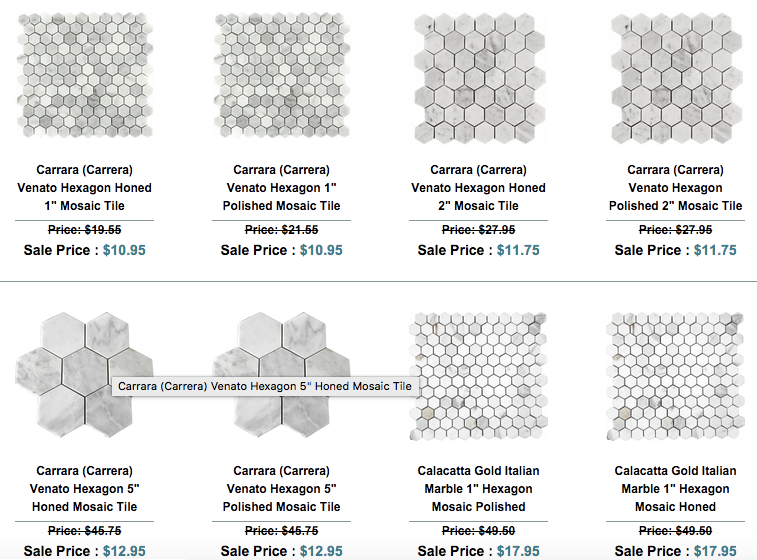 Sometimes you cannot beat a 1″ Hexagon mosaic but if you want more choices then we have over forty choices with everything in Honed and Polished. 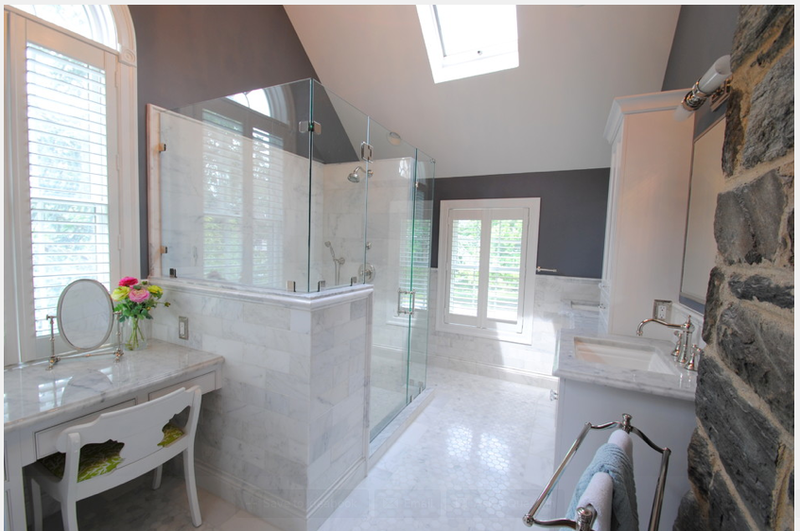 Below is just an idea of the options from our Hexagon page. 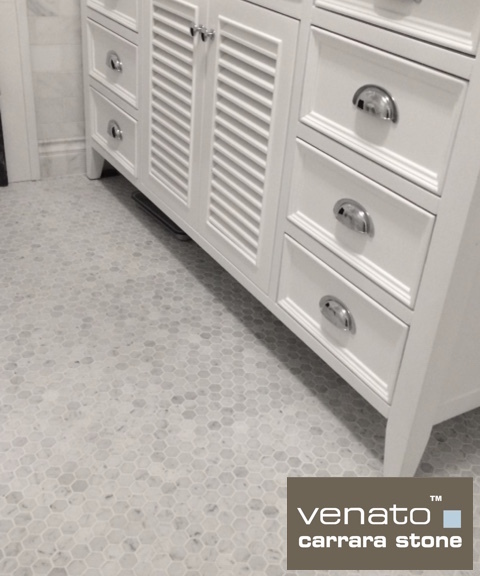 This is the Venato Collection showing the 1″ Hexagon honed used above in the picture $10.95 a Square Foot and Free Shipping. 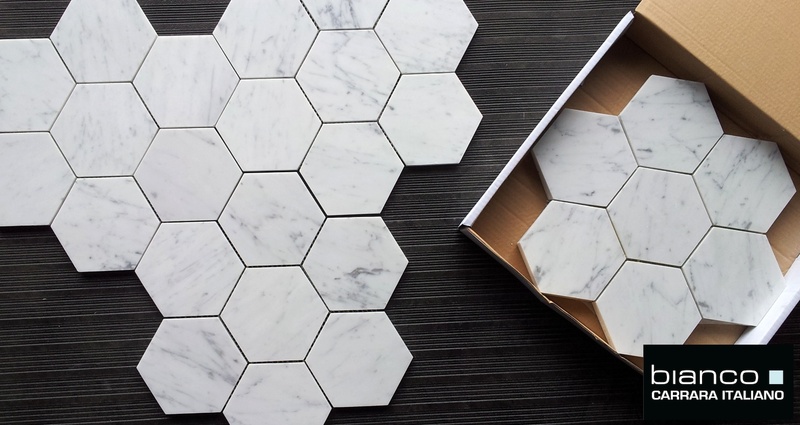 Hexagon Collection can be found here. 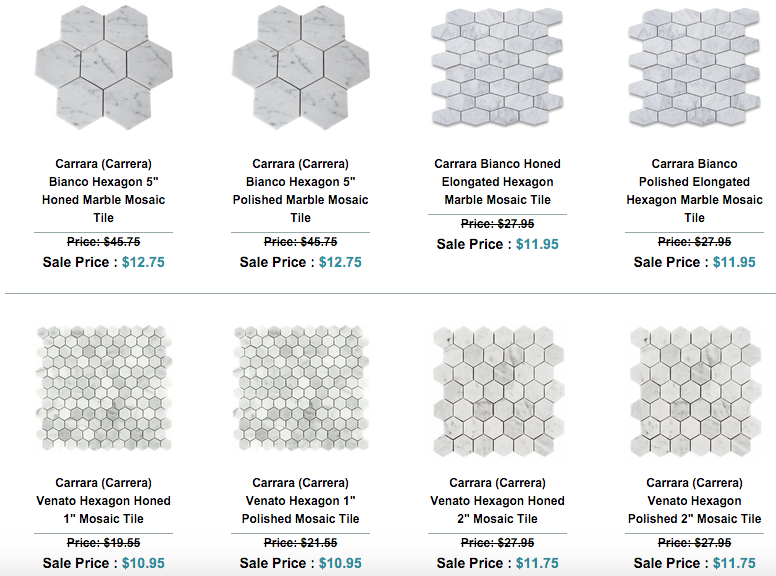 While our snaps with a cell phone are never going to be the best (but are incredibly cost effective), the Italians more than make up for it with their superb Carrara 5×5″ Hexagon mosaic tile. 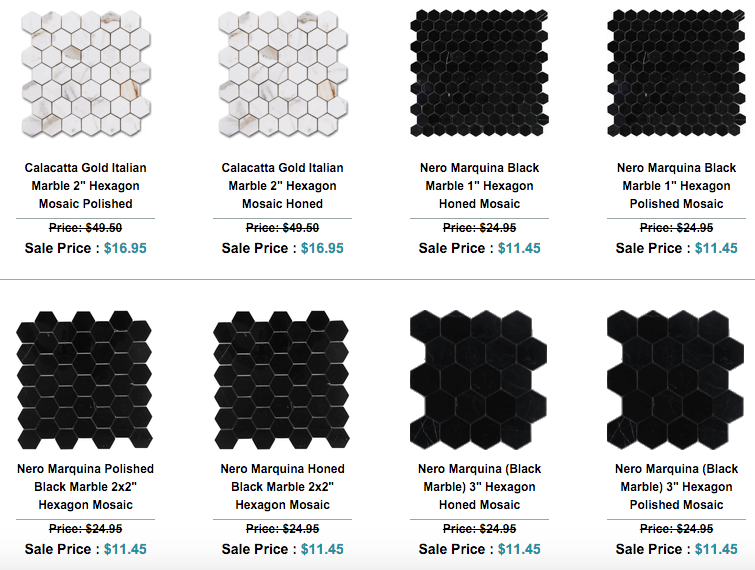 We always recommend a sample email the sales department sales@thebuilderdepot.com or ask for pictures of the current lot of 5″ Bianco Hexagon Honed or polished mosaic. 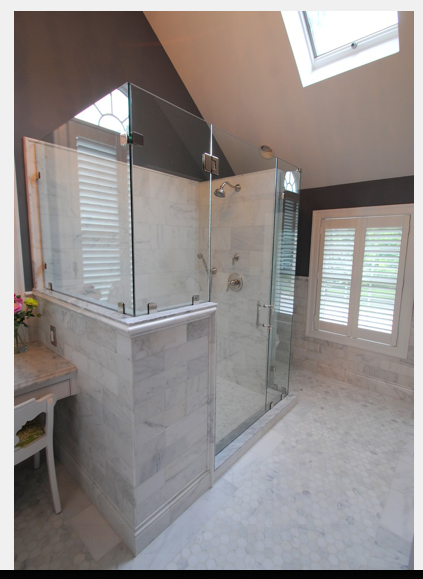 Especially if you are looking to put field tiles along with it, trims or other products. We want it all to match as close as possible. 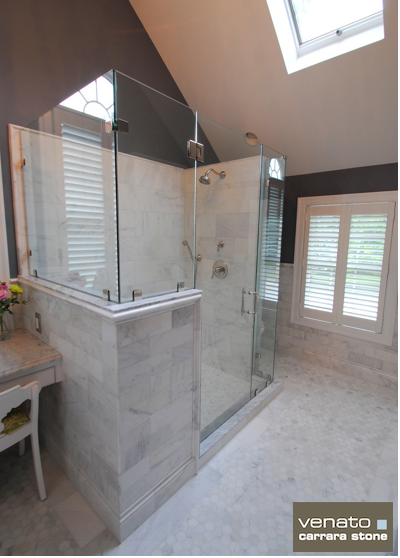 This was one of the first products introduced over a decade ago and is still one of the best selling marble mosaic tiles. 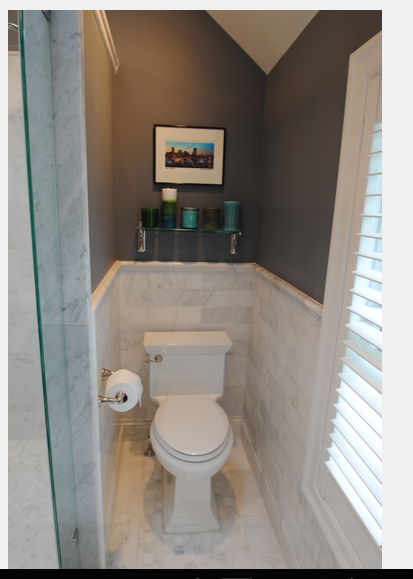 It is such a classic look and at a price of just $10.95/SF you can see why available online from The Builder Depot.